Black Jacket, Black Boots: H&M. I think the snow and ice is finally starting to thaw out a little bit and I was able to take some photos outside for the first time in awhile. This weekend it was 40 degrees with the sun out which was so exciting! My skin has missed the sun and brightness terribly ☀ I need to get my tripod fixed though before I can take more photos outside. It's been broken for about a month and I'm setting my camera on top of a book that's set on top of the tripod. Talk about dangerous. It's somewhat fine when I'm inside, but with the outside elements and uneven ground I seriously need to get a new one. I don't know what I would do if anything happened to my camera! You may notice, but my hair is a little different! I have a friend in beauty school who wanted to practice for her portfolio, so I offered up my hair since it's long. I'm planning on cutting it at the beginning of summer anyways, so I don't really care about the damage to it. It's nice to have a change and I think I should experiment more-- it's just hair after all! 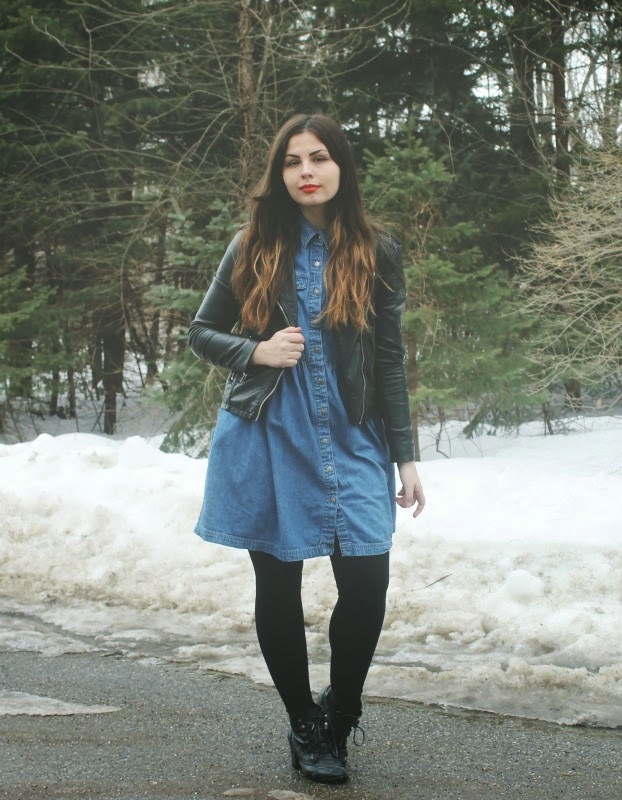 Your denim dress, lather jacket and hair are perfection! Love the look & the pictures! Your hair looks beautiful! And I can't wait for the snow to melt. I'm desperate for spring. I really think that you shouldn't cut your hair, it looks beautiful and it gave you a different look. Playing with hair is so much fun! I've had every color in the rainbow. I went a bit crazy after graduating from a high school that didn't allow fun hair colors. Lately I've been giving my hair a breather. 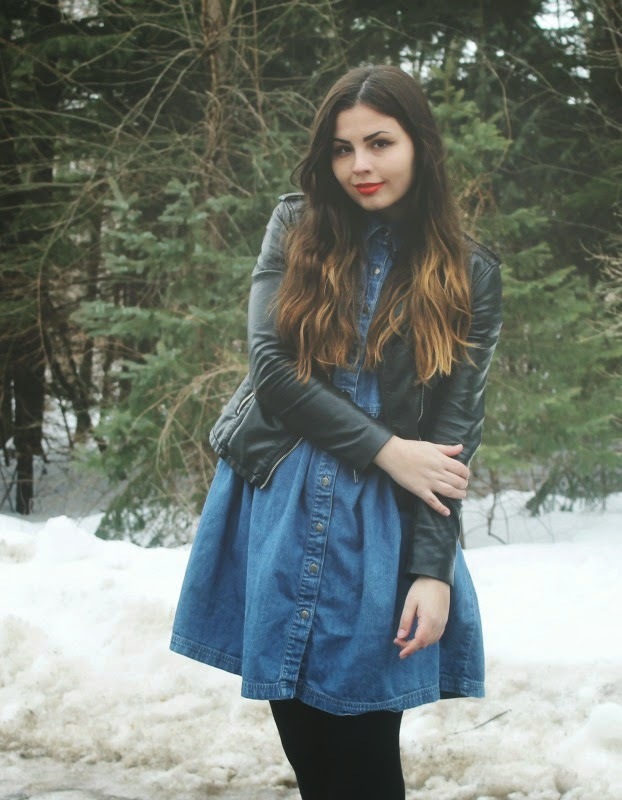 This casual outfit is super cute - that dress is very lovely! I'm liking the hair change too - adorable! Hope that you are well and that you are enjoying your semester! Love this! 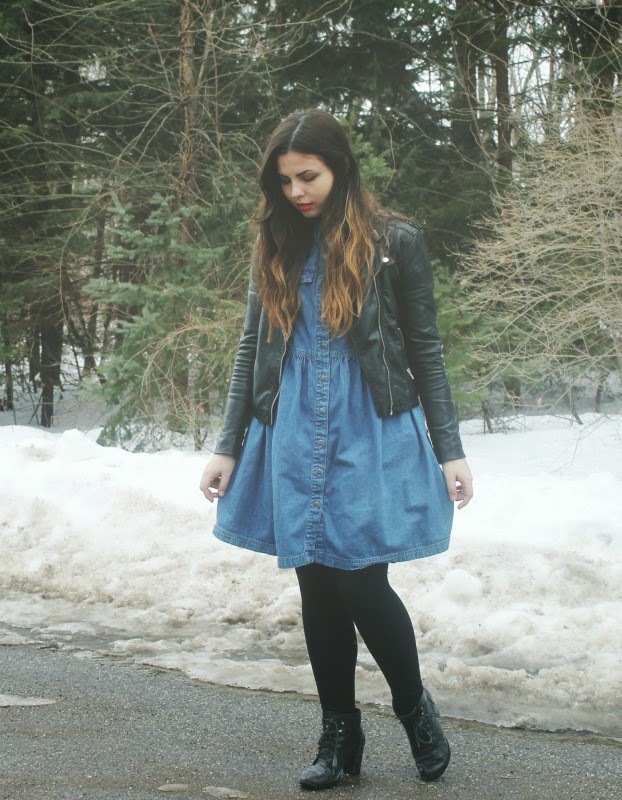 Your denim dress and leather jacket look so cool together. 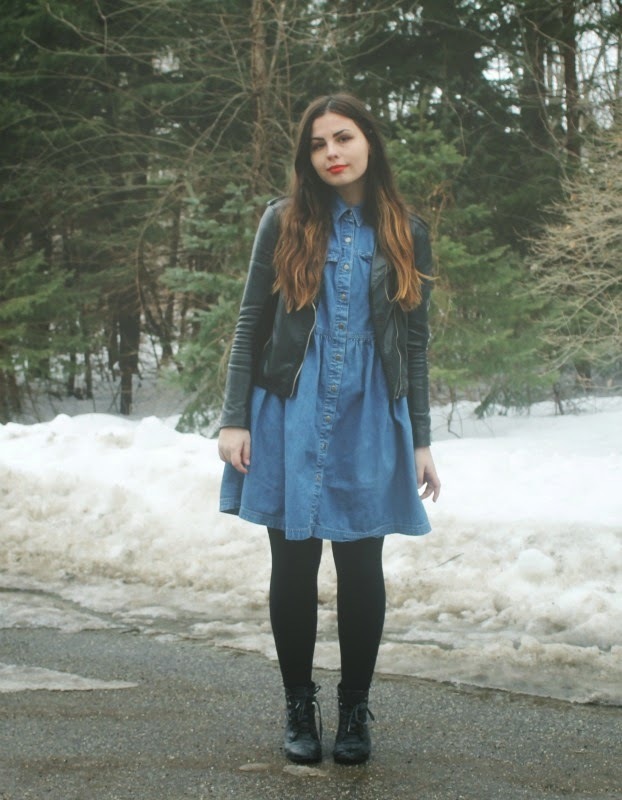 I think I'm going to have to create a look like this before it's too hot for layering! 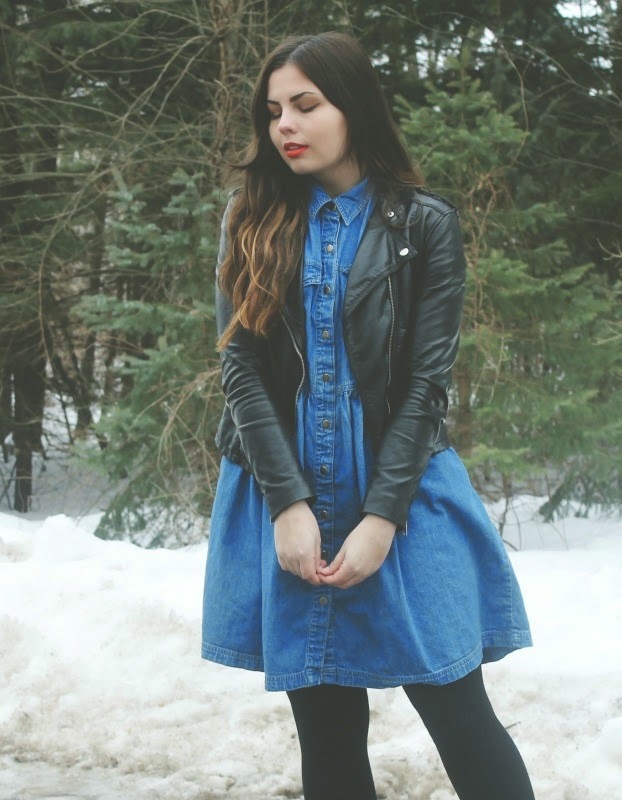 Denim and leather, 2 of my favourites :) you've paired them perfectly!